Clients appreciate our hands-on, creative approach to problem-solving, which starts with our leadership. When success is the only option, start-ups, mid-caps and investors look to Feinberg Hanson. Our lawyers are veterans of major law firms who choose to work with growing companies—where the stakes are high and the future is on the line. Every day, we apply our core expertise to closing the deals you need to succeed, from forming your company with the right legal foundation, to financing growth, to buying add-on businesses, forming key commercial partnerships and recruiting top talent, to cashing out and meeting liquidity goals. Our ideas are creative, our advice is straightforward and our commitment to our clients is absolute. Formed in 2002 as a boutique corporate firm focused on entrepreneurship, Feinberg Hanson has grown with its clients and now represents hundreds of small to mid-sized businesses and investors. Our strategic focus, however, has always remained the same–we serve the core legal needs of business entrepreneurs seeking to grow their businesses and, ultimately, sell their companies or engage in other liquidity events. We bring expertise in entrepreneurship, finance, mergers and acquisitions, licensing and strategic partnerships to all of our clients and strive to be catalysts for their success. We know deals and market terms and we know how to get those deals done–fairly and efficiently. More importantly, we help our clients make the right decisions–right from the start–and build their businesses for their future success. The decisions you make determine the future of your growing business. Build or buy? Bonus or stock options? Deal or no deal? From business formation to exit strategies, our lawyers help you understand the business impact of legal options and make smart choices that drive success. We are small and focused, with deep expertise in mergers and acquisitions, finance and strategic partnerships. We engage deeply with our clients and know their businesses and legal needs. You are our focus—and we strive to develop and deepen long-term relationships and commitments. We have grown from representing start-ups in Boston, to representing growth companies from Washington D.C. to New York and all of New England, to representing U.S. and foreign investors in both inbound and outbound investment and acquisition transactions. 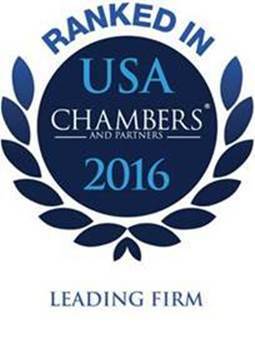 Our lawyers are hyper experienced, with training from some of the best law firms in the United States. We do not train junior lawyers at our clients’ expense. We are a small and efficient law firm but work regularly on highly sophisticated and complex transactions with some of the largest firms in the United States and abroad. We are not a full-service firm. We know what we do well and we do it as well as firms that are 10 times or 100 times our size. But if your needs are outside our core expertise, we tap into our vast network of legal and professional contacts to put together the right team for your business.